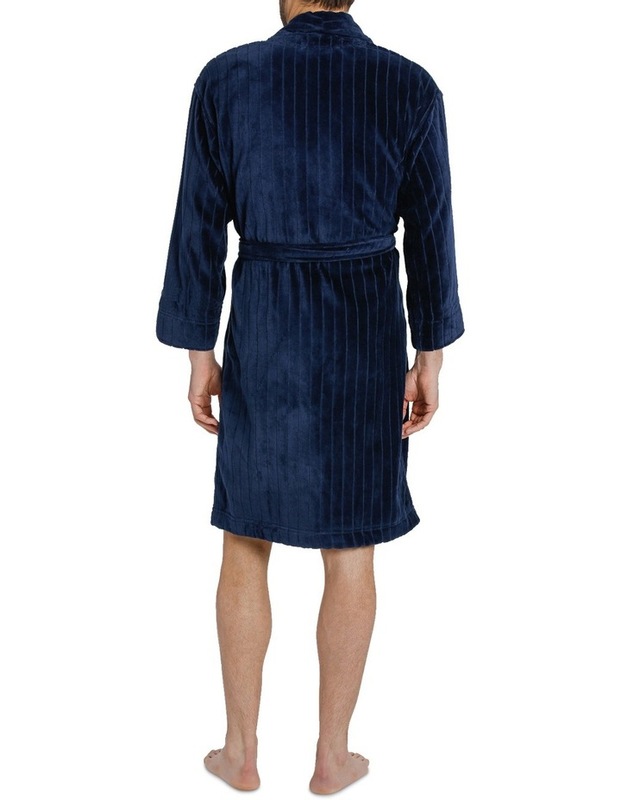 Live a life of bathrobe luxury with this plush SMARTEX self stripe Cotton Terry Gown in navy blue. 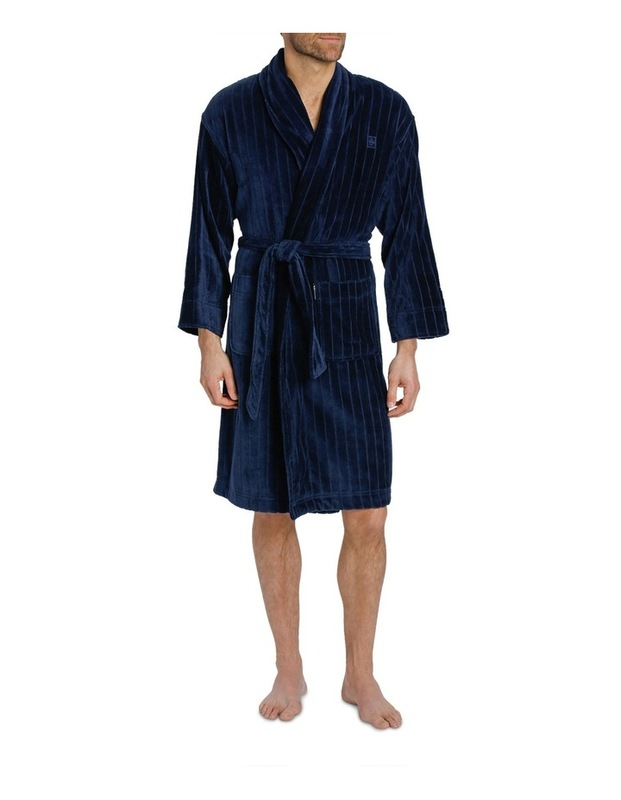 Sporting a wrap around design that finishes below the knee, this toweling bathrobe is divinely comfortable and proudly displays the Smartex 'S" motif on the left chest, espousing the standard of excellence you've come to expect from this well respected brand. Features: Regular fit. 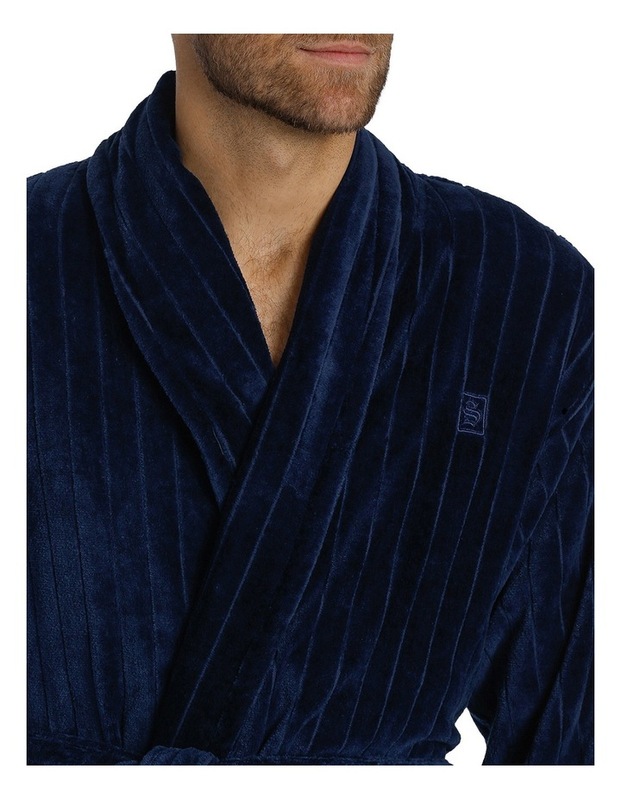 Shawl collar. Long sleeves. Calf length. Care: Warm machine wash. Warm Iron.